Unicorns parties are super popular in the world right now, are they not? You can’t browse Pinterest without seeing something unicorn. 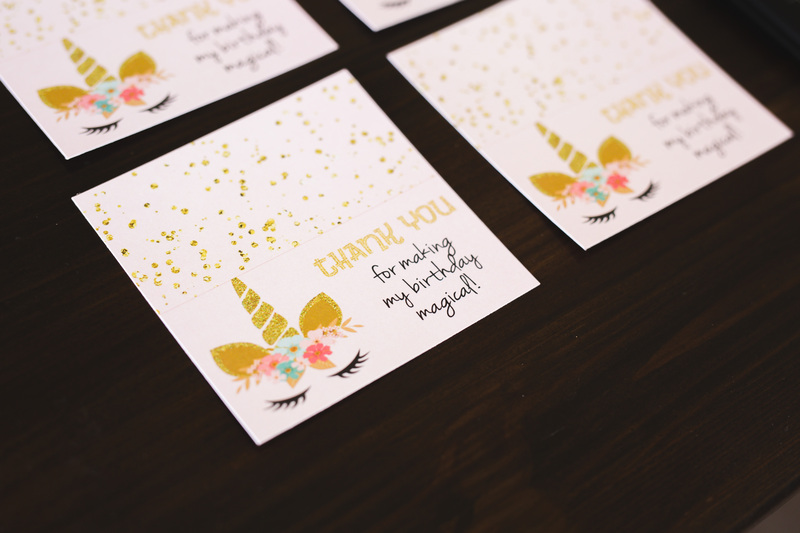 What little girl doesn’t love all the sparkle and glitter and color that goes with a unicorn themed party? Some like to go with the rainbow unicorn theme, others the pink and gold color pallete; either way is a WIN! We’ve rounded up some fun unicorns treats for ya! 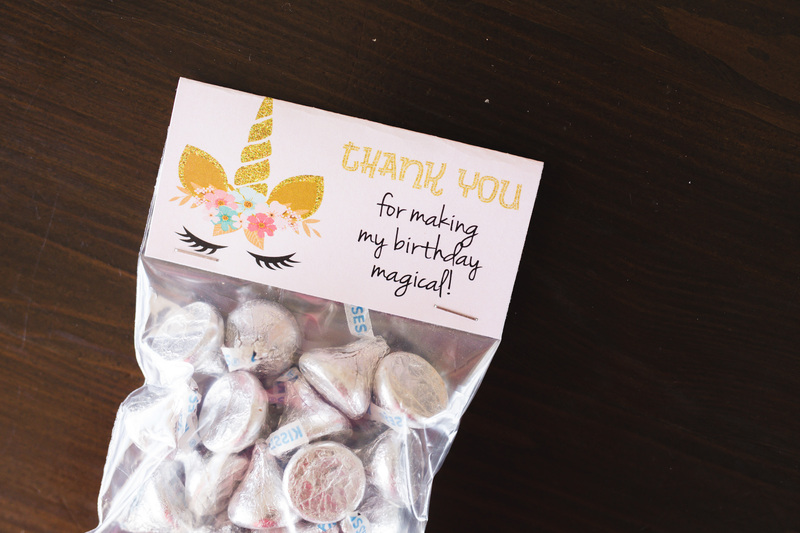 They are perfect for putting in little baggies as party favors or thank you’s to your guests. 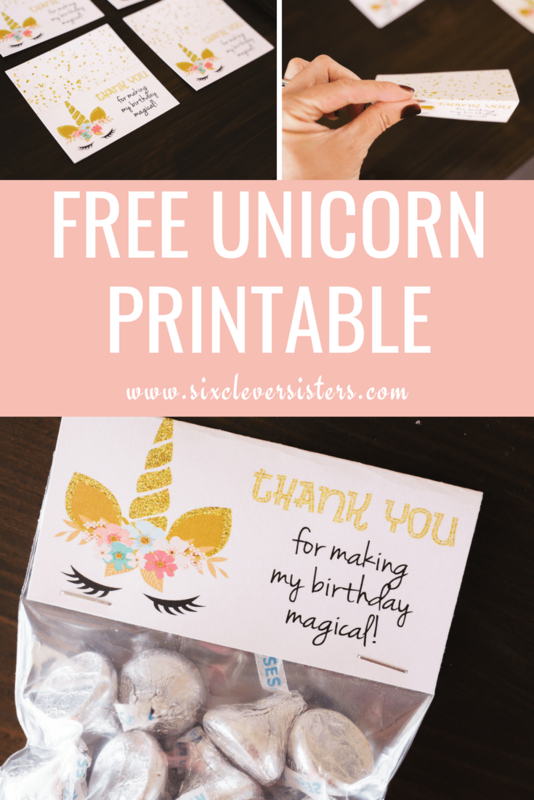 And just download this free printable unicorn treat bag topper and simply fold over and staple to make the perfect addition to your unicorn party! 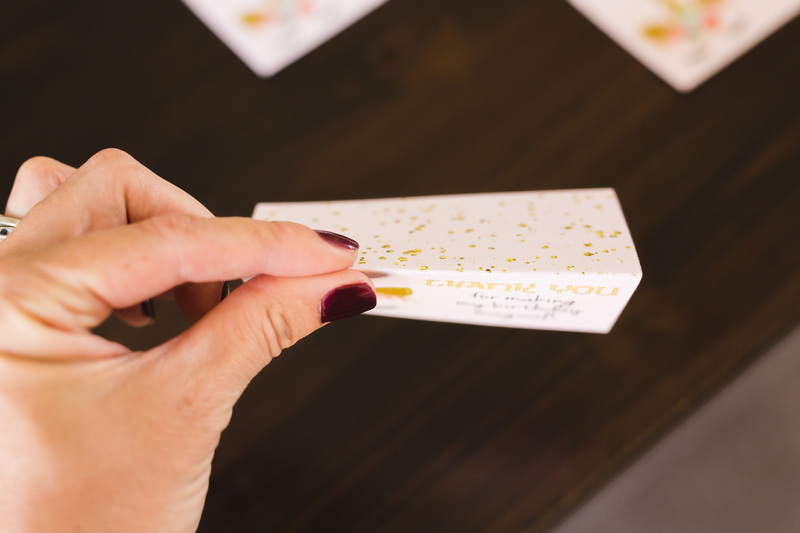 We do try to make it easy-peasy for you busy mommas. And don’t forget to print our free unicorn banner! If you’re hosting a unicorn party, we wish you the most magical day ever! These treat bag toppers are perfect for attaching to 4″ clear treat bags. 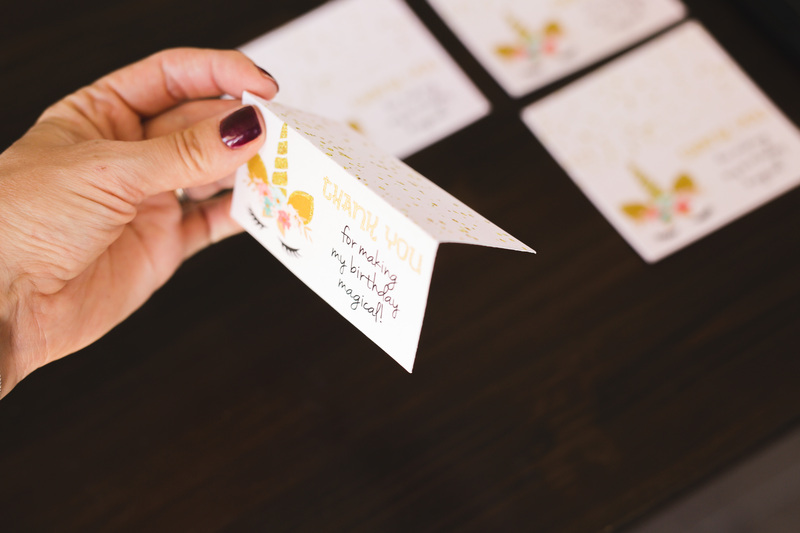 After you’ve printed as many as you need and have cut them on the gray cut lines (there are 4 treat bag toppers on the page), simply fold each topper over the treat bag and staple it together! THIS IS DEFINITELY OUR FAVORITE TREAT TO PUT INTO TREAT BAGS! 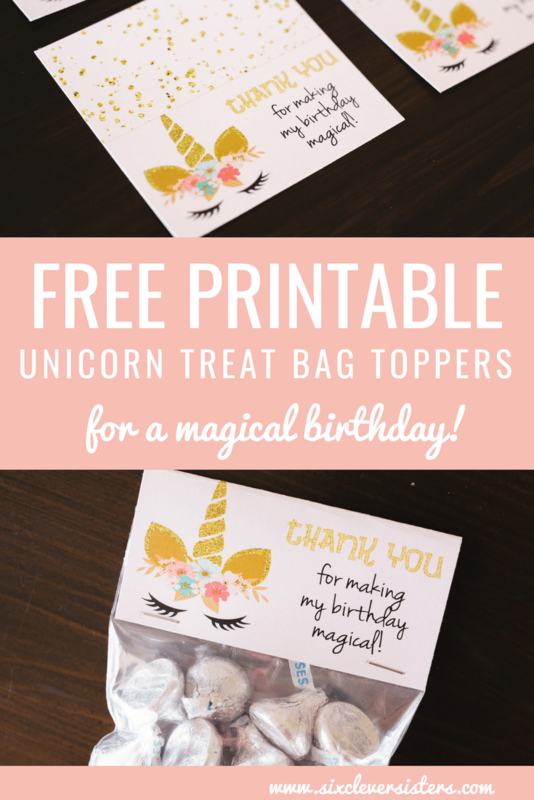 Just click the button below to download and/or print your unicorn treat bag toppers! 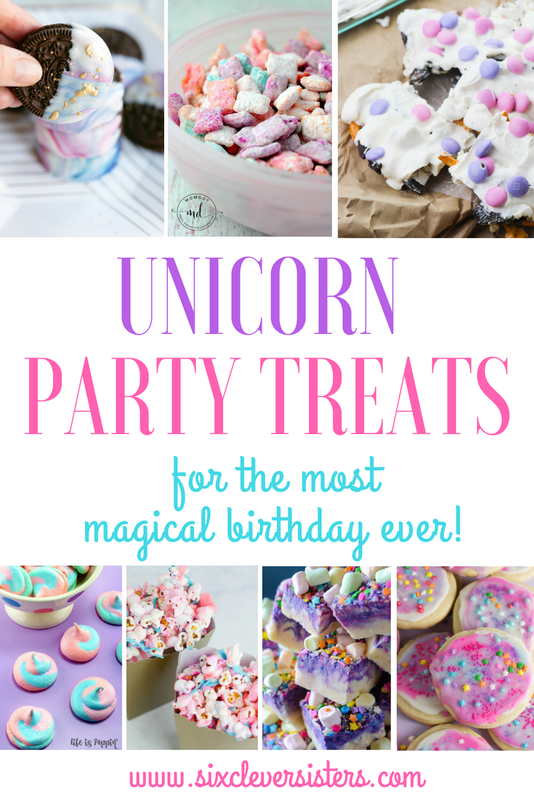 We’d LOVE to see your unicorn parties in action, so be sure to tag us on social media! AND NOW FOR SOME FUN UNICORN TREATS! By the way, are these not the cutest unicorn cups???! 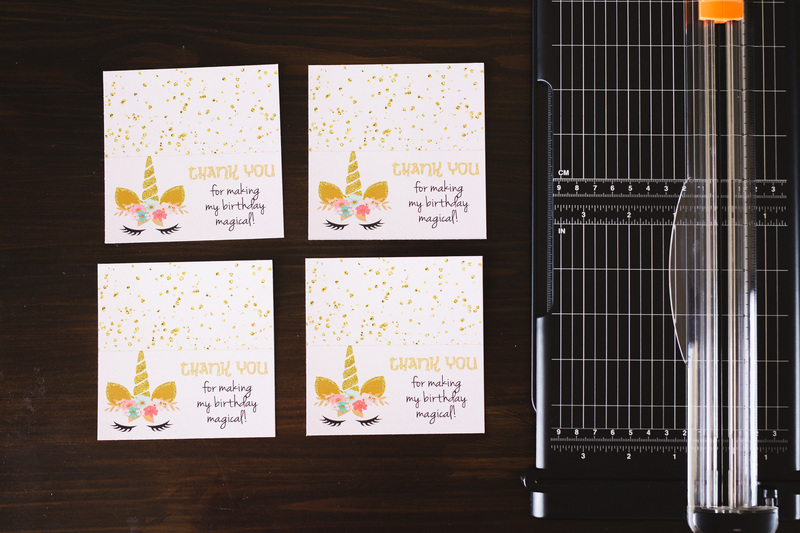 If you like party planning as much as we do, you’re going to love our other party stuff!